On the art of the General Contractor. Getting all factions of a big project working properly and according to your blueprints is no simple task. New Age Global Builders; a premier general contractors in the greater NYC area. We have established relationships with our specialized craftsmen such as electricians and plumbers. By avoiding sub contracting we can pass over savings to you. We guide you through the process from blueprints to finish. Finally, we have insurance and licensing to cover ANY sized job from a residential home in Queens NYC to a giant commercial structure. Areas like Forest Hills NYC which are booming with new commercial shops as well as area like Astoria NYC will really appreciate our selection of services. Our services include home, residential as well as commercial, hotel, and retail store contracting and construction projects. 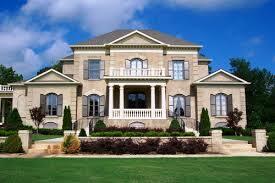 We are licensed and insured residential and commercial building contractors. As a General Contractor New Age Global Builders has managed tens of millions of dollars worth of work for home owners and commercial businesses. We make sure the job site is neat, secure, and insured. The scaffolding is always up to code and are staff is always smiling. We provide a whole range of contracting services and we are here when you are looking for roofers in NY for your home or business.